The second day of the Del Brown the weather was about the same as Day 1. There were 7 permit caught, 4 by one boat and three on 3 individual boats. 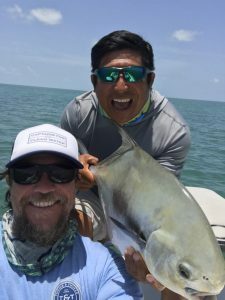 The team that released 4 permit was Jose Ucan and Capt. 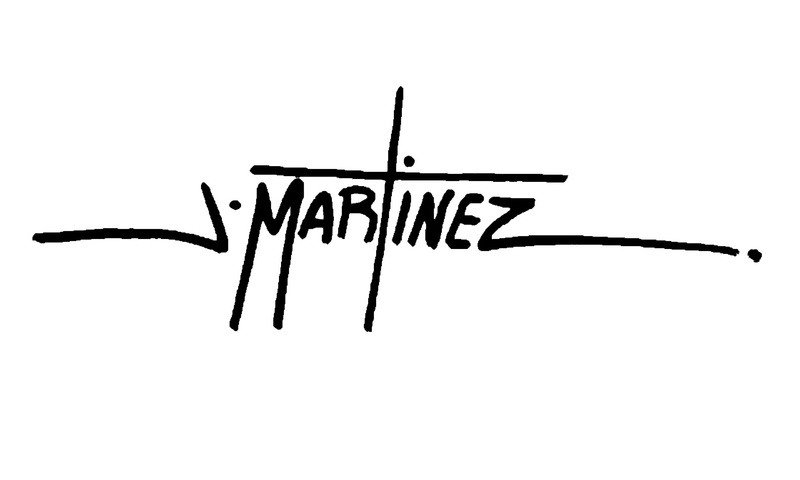 Justin Rea. Mike Dawes and Capt. Will Benson released one, Justin Sexton and Capt Bear Holeman released one permit and Connor Flanagan and Capt. Brandon Cyr released the largest for the day 26.25″. The 2018 Del Brown Invitational Permit Tournament started with a beautiful flat calm morning. Skies were clear and the sunrise was beautiful! A field of 22 teams on 22 boats departed Hurricane Hole Marina at 7:30AM to go fishing. 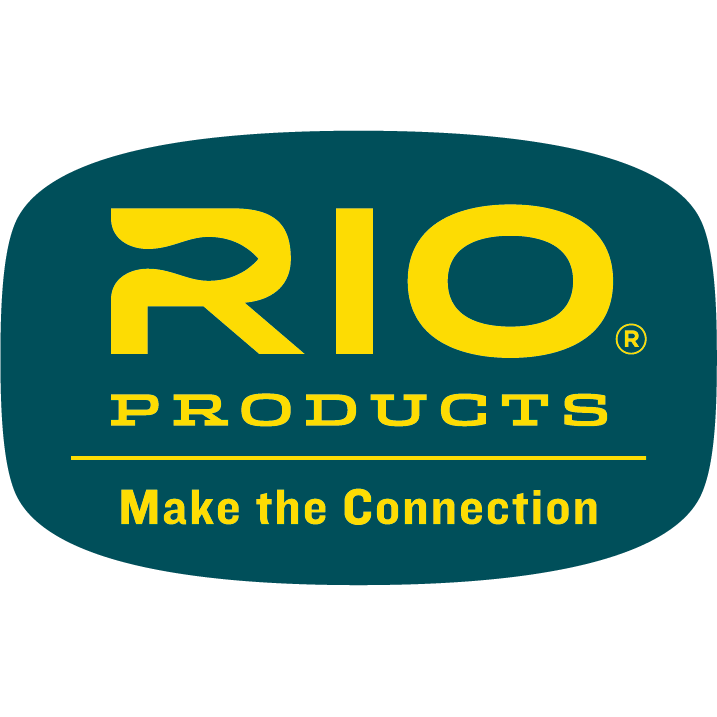 Thank you to all our great sponsors for their help in making the Del Brown such a successful event!  The Del Brown Permit Tournament is dedicated to the man who made permit fishing with a fly rod famous, the late Del Brown. 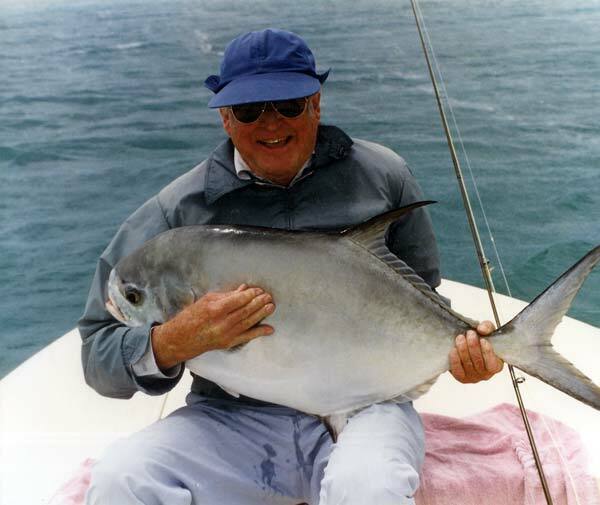 Brown caught 513 permit on a fly rod in his lifetime. 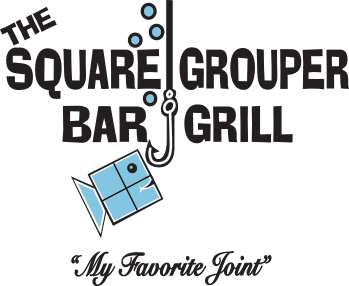 Brown tied a fly called the “Merkin” that was a close enough representation of a crab that permit rushed to eat it. Today there are many styles of the Merkin fly, most of them are a representation of Brown’s crab. 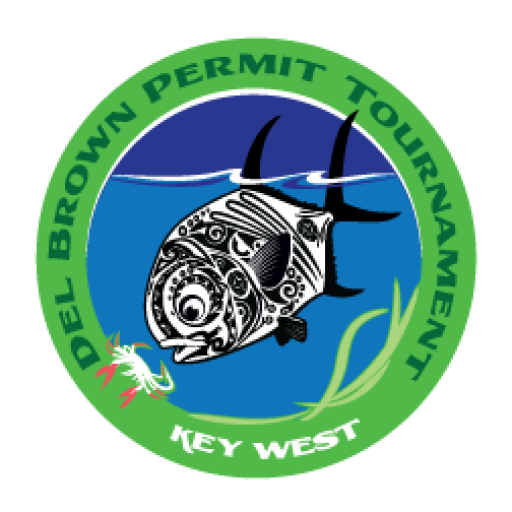 The Del Brown Permit Tournament was established in 2001 and continues to honor the late Del Brown with this annual event in July. 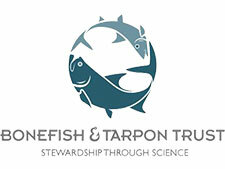 The Del Brown makes a contribution to Bonefish Tarpon Trust annually to the Jon Ain Memorial Fund for continued permit research. The Grand Champion and Guide to Grand Champion Trophies by Chris Bladen of South Africa. 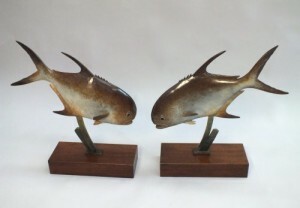 Bladen is a noted wild fish sculptor who resides in Kalk Bay near Cape Town. You may visit his website at www.ChrisBladen.com.